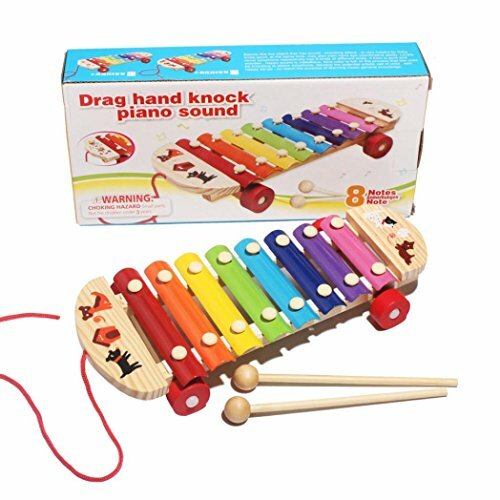 Gotd Baby Kid Musical Toys Xylophone Wisdom Development Wooden Instrument (647861702829) by Goodtrade8 at Bass Brass. Hurry! Limited time offer. Offer valid only while supplies last. Suitable for 6 months to 3 years old baby / kids. Xylophone toy sounds very melodious when you knock it. And each piece of metal knock voice is different. Can Inspire children's talent for music. Bright colors increase the kids sensitive to colors.